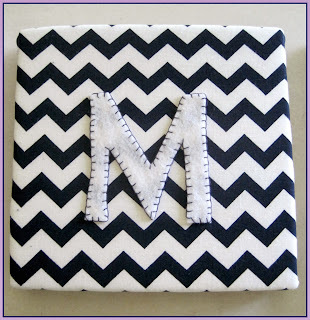 Been meaning to share this simple little craft that made for a very special nursery decoration for a friend: Fabric letter squares. 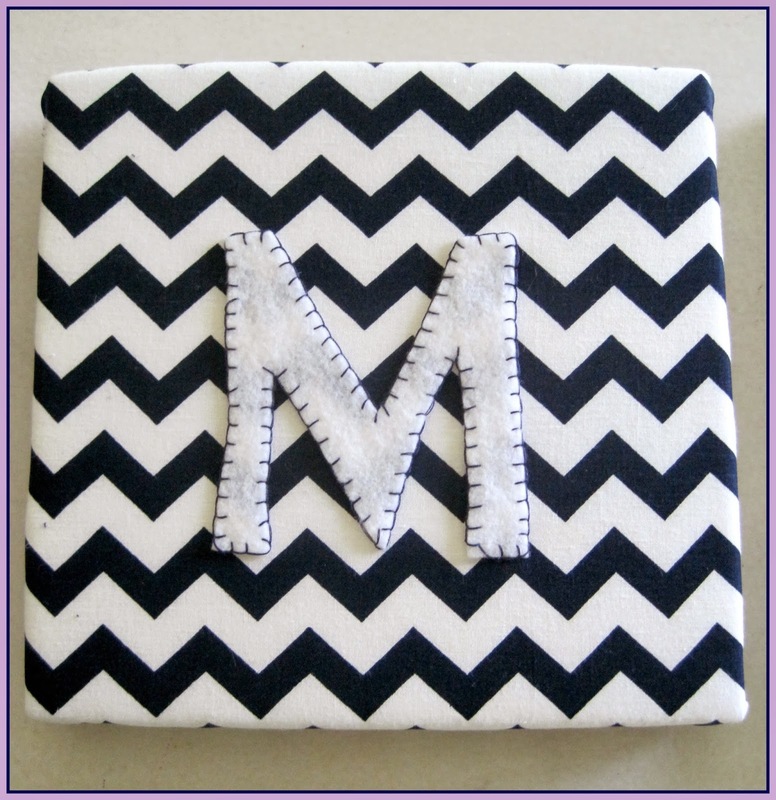 To make these, I used 8 inch x 8 inch squares that my husband had pre-cut for me out of a 1 x 8 plank. I then covered each square with batting to soften the edges and help the fabric lay more smoothly. Next came lots of time with the staple gun, getting each piece of fabric to lay straight, centered, etc. on the square. The hardest part was making the corners tight and even and keeping the horizontal stripes straight throughout the process. Once all the squares were covered, I turned to the lettering, which I cut out of white felt. I did a simple loop stitch around the edges of all the letters and then hot glued them to the fabric. I suggest a method like this - i.e. hot glueing the letters after the fabric is on straight - as opposed to sewing the letters on and then trying to staple the fabric in place. The fabric tends to pull and shift a bit and would be difficult to manage with the letter already in place. These were made in navy and lavender for a dear friend's first daughter, Emilia. I chose three coordinating fabrics, a large navy chevron, a lavender polka dot and a navy and lavender stripe. We attached hooks to the backs of each and they are now hanging beautifully in an expectant nursery!